Now more than ever, organizations and businesses are taking proactive steps to invest in their employees’ health and wellness. At the heart of this corporate wellness, movement is the idea that healthier employees are happier, more productive workers and members of the community. At Balanced Wellness, it is our mission to not only advance this movement but to take it a step further: we want to empower every individual to achieve and maintain their optimal well-being. With over 30 years in the health and wellness industry, our certified staff is equipped and wholeheartedly committed to engaging individuals and providing comprehensive, cost-effective, and easy to understand health and wellness plans. What’s Included in Our Wellness Program? Comprehensive Plan—All big changes start with a solid plan. Whether it is a comprehensive program including assessments or just a wellness coaching program, we use our tools and expertise to give us the information we need to plan out an approach that is comprehensive and individualized. Health and Wellness Workshops—Workshops provide an opportunity for us to educate, field questions, set goals, and build personal relationships with our clients. One of the great benefits of these workshops is that they get participants in the habit of thinking critically about their personal health, which is the first step in achieving and maintaining optimal health. We conduct our workshops in person, online, or through a mix of both. Wellness Coaching—Our health coaches are passionate about fitness and helping others become their very best selves. Wellness coaches aim to engage with participants on an individual level and help identify a realistic wellness vision, roadblocks, motivators, values, and strategies for success. Interactive Wellness Portal—Utilizing our versatile, easy-to-use software, we provide each participant with a comprehensive, interactive tool to incentivize and monitor progress. Not only do participants have access to features like a meal planner, nutrition database, and food logs, but our Wellness Portal also serves as a great resource center for comprehensive health education. It is designed to be highly customizable and able to adapt to the unique needs and circumstances of each individual. 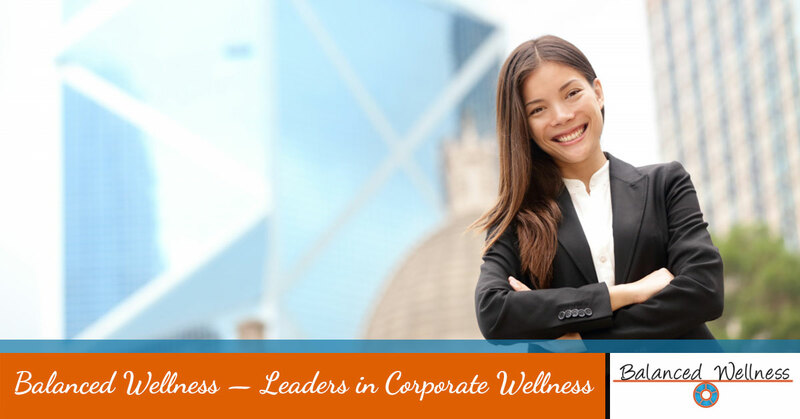 Wellness Challenges—We harness the social accountability and competitive nature of the workplace, and leverage it to help each individual achieve and maintain their optimal well-being. In addition to seasonal challenges, we offer customizable options that can be tailored to each group’s needs and goals. Incentive Programs—Used to reward and motivate participants, our incentive schedules incorporate proven-effective measures to steer individuals toward better health. Whether you want to track and incentivize standard goals—steps, exercise, weight, food, water intake, etc.—or create custom goals—volunteering, gratitude, mindfulness, etc.—our incentive campaigns are entirely customizable. We also build schedules according to desired outcomes—improve BMI, blood pressure, cholesterol, etc. The Balanced Wellness program is designed to be flexible and scalable so that participating companies can leverage their brand and existing resources to implement and manage innovative, engaging wellness offerings. Employers love our program because not only can it potentially lower insurance costs, but also because our tools make it simple for administrators to measure user enrollment, participation, program completion, and overall efficacy, thus allowing them to play a significant role in their employees’ journey to optimal health. By integrating our flexible wellness program into your community and workplace groups, you can help yourself and your peers achieve and maintain optimal well-being. Contact Balanced Wellness to learn more about our health and wellness programs!